Bob Howard is an IT specialist and field agent for the Laundry, the branch of Her Majesty's secret service that deals with occult threats. Overworked and underpaid, Bob is used to his two jobs overflowing from a strict nine to five and, since his wife Mo has a very similar job description, he understands that work will sometimes follow her home, too. But when 'work' involves zombie assassins and minions of a mad god's cult, he realises things are spinning out of control. 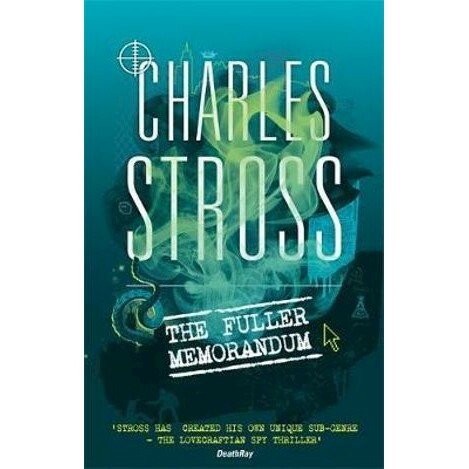 When a top-secret dossier goes missing and his boss Angleton is implicated, Bob must contend with suspiciously helpful Russian intelligence operatives and an unscrupulous apocalyptic cult before confronting the decades-old secret that lies at the heart of the Laundry: what is so important about the missing Fuller Memorandum? And why are all the people who know dying ...?